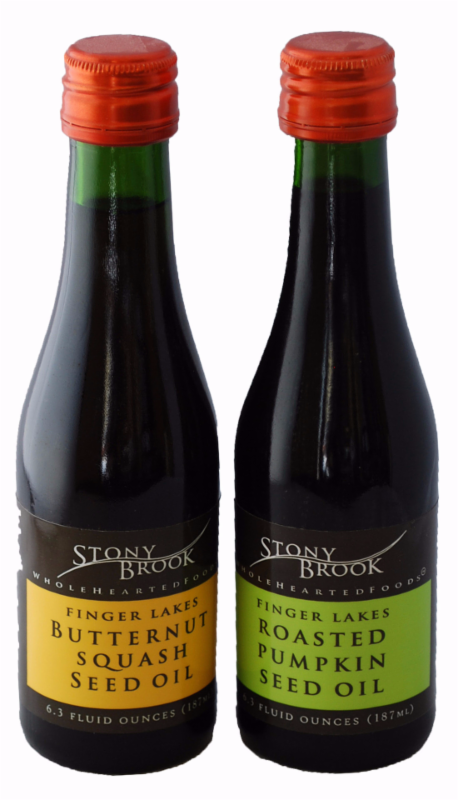 Stop by this Saturday, April 6 from 11 am to 1 pm to sample Stony Brook Wholehearted Foods Squash Seed Oils and Pepitas! Stony Brook, located in Geneva, uses a simple process where the seeds are gently dried or roasted, expeller-pressed without added chemicals or heat, and then hand bottled. Incredible nutty flavors and a Good Food Awards winner. Perfect to drizzle over vegetables, salads or as a dipping oil. Brush it on fish too before grilling or roasting. Sample all four varieties (Pepitas, Maple Pepitas, Sweet Chili and Butternut Pepitas). All a good source of healthy fats, protein, vitamins E, lutein and beta carotene. Non-GMO. Finger Lakes grown, brined and roasted pumpkin and butternut squash seeds are a crunchy seed snack loaded with nutrients. Eat right out of the bag or sprinkle over your yogurt, add to granola, or on soups and salads like wheat-free croutons. 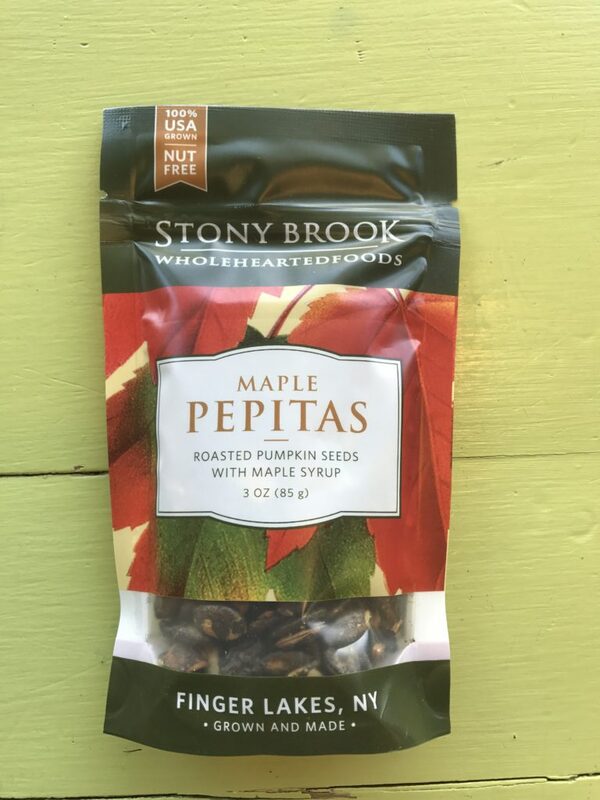 This weekend we are offering 10% off Stony Brook Wholehearted Foods Squash Seed Oils and Pepitas!